It can be used raw as a seasoning on pasta, or on ‘bruschetta’, or in order to flavour salads, vegetables and legumes, for preparing onion and herbs browned in oil for vegetables, meat, fish. 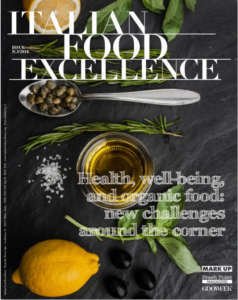 Its beneficial and curative virtues have been known for centuries: as early as in 400 BC, Hippocrates of Cos called it the ‘best medicine’ and Homer described it as ‘liquid gold’. 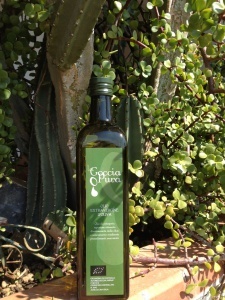 It is extra virgin olive oil. Alongside with Spain, Italy is one of the most important producers of it. 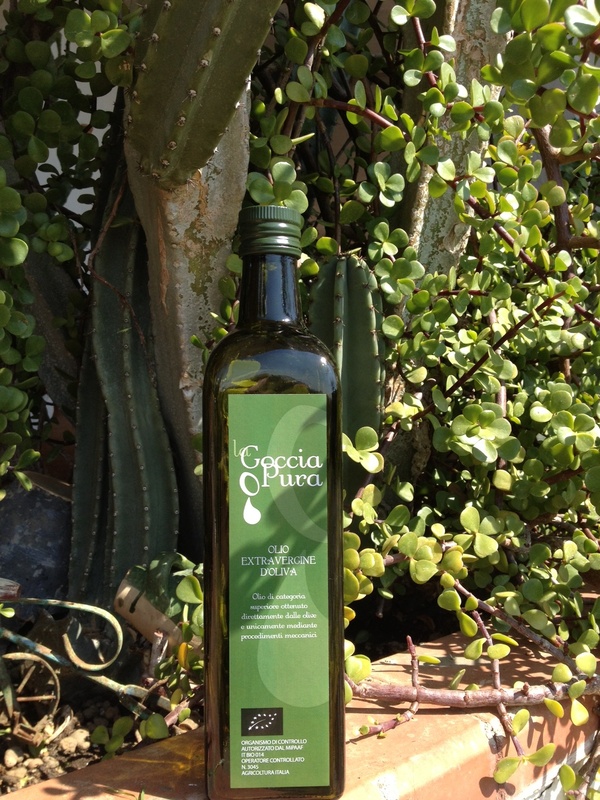 The strength of Italian oil consists in the origin of a quality product in the variety of its territories. In Calabria, not far from Cosenza, between the municipalities of Saracena and San Basile, at the foot of the massif of Pollino, in an area of ​​about 50 hectares, olive trees which allow producing the extra virgin olive oil ‘La Goccia Pura’ by the farm Agribio are born, grow, and thrive. Francesco Bloise, owner of the company, explains: «The drop, the latest one which comes out of the decanter, of which you can even hear the noise when it falls. The drop which, if you look closely to it, is very green, untouched. In a single word, pure». This is the district where the Bloise olive groves rise, whose soils develop in mid-hill, so enjoying the characteristic climate of the Mediterranean temperate zones, with winds which create a constantly dry environment and therefore is the most suitable habitat for the high quality olive-growing. Quality and excellence for a product obtained by a constant concern which, since 1909, has seen oil as a symbol of work and production processes carefully and daily followed in all its stages. 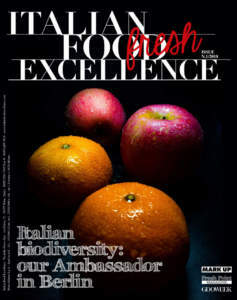 The complete harmony between innovation and tradition distinguishes a company «dedicated to dialogue and growth, constantly disposed to improvement and refinement, which presents its product with enthusiasm and pride, always looking for new scenes and new worlds, for knowing, exploring, sharing them», Bloise says. And for experimenting, we can add, since an initiative which will see grandmother Bloise’s matriarchal figure is a work in progress. 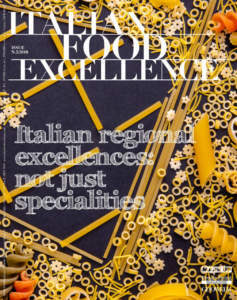 She is committed to offer traditional courses related to gastronomic tradition of Calabria and ‘challenge’ starred chefs, of great renown, to reproduce them according to a modern reinterpretation, so comparing the two recipes. ‘La Goccia Pura’ oil is the leitmotif and the absolute protagonist. Everything happens according to a millennial tradition: the fertilizer is realized ​​only by means of manure, alternated every 3-4 years by showers of legumes, in order to improve the hydraulic structure of soils; the pruning is carried out by hand and limited to the elimination of suckers and bearing branches, for achieving a balanced production, as much as possible; the olive harvest is carried out between the months of October and December, according to the different ripening times of each cultivar. 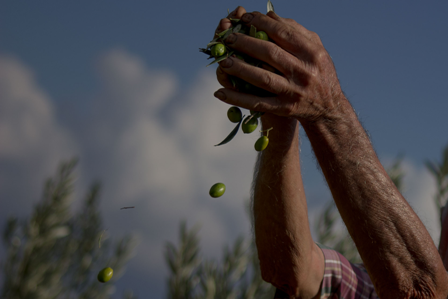 The ideal time for harvesting olives is the one when the product is almost ripe. This stage results to be the optimum time for pressing, and the result is oil with very low acidity, rich in polyphenols and fruity, conspicuous with aromas and characterized by a greenish colour. This operation is carried out almost entirely by ‘hand picking’, with the aid of mechanical means and tools which facilitate the fall of the fruit on the nets. The olives are placed in special crates and immediately transported to the oil mill, in order to avoid damaging the product. Bloise tells with pride that to be born and grow up among the olive trees is a kind of enchantment of colours, smells, and flavours «that is imprinted and imposes itself, accompanying you throughout your life, becoming an intense attachment to your roots and determination to preserve and enhance its resources. Passion, dedication, sacrifice, and willingness shown by those who embrace an activity without any reservation and, with courage and conviction, carries out a visceral connection with their land and their roots». This way, four generations of Bloise family hand down first of all a devotion, then a trade. At the base: the disposition of a small company which puts quality over quantity, personally taking care of the whole production chain, from harvesting to milling, up to the bottling stage, without intermediaries of any kind. 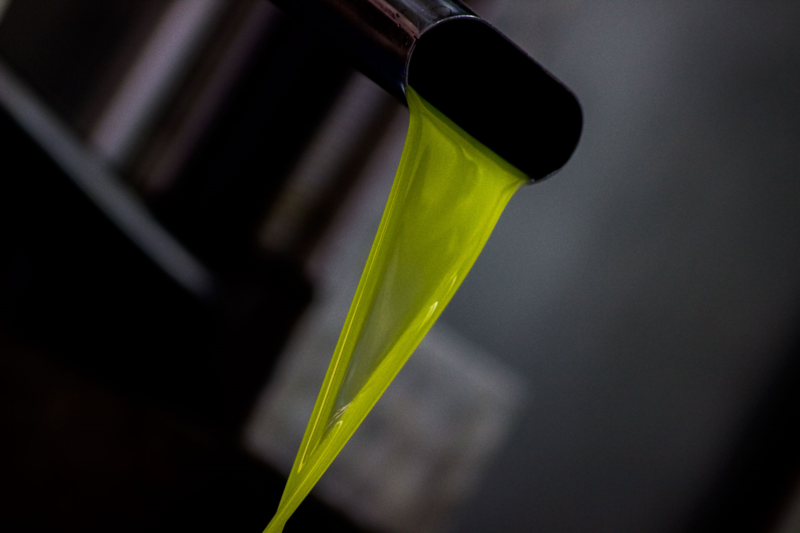 This extra virgin olive oil shows an average fluidity, is characterized by a yellow-golden colour with greenish reflections, and total limpidity naturally settled. The olfactory sensations transmit hints of an average fruity oil, characterized by pleasant and delicate herbal notes of freshness and fragrance. Its flavour is intense and slightly bitter, with full and harmonious body. Approximately 13,000 plants belong to cultivars which are the result of a constant research: carolei, coratina, faresana, frantoio, leccino, nocellara, tondino, and veraci: a selection, accompanied by continuous and rigorous controls, for producing a very high quality oil which for 20 years has boasted the certification of organic cultivation issued by the Ministry of Agriculture; olives harvested by hand or with the aid of mechanical means, taking care not to damage them; the technique of crushing, performed with modern machinery, based on ancient methods which impose a single cold pressing. This oil is characterized by a unique flavour, which pinches the throat, because «when oil is good, it must pinch the throat. Otherwise, it is not a quality extra virgin olive oil», Bloise tells with determination. And he explains this by telling their history, almost making us ‘feel’ a flavour rich in polyphen ols, very fruity, bitter and persistent. The 600 tons of annual production are sold only to organic shops and exported abroad, especially in France and Germany. It is possible to recognize these products by their packaging, that has been restyled, by the dark green bottle, whose name is Papua, in order to preserve the quality of the product, avoiding the passage of light, which would contaminate the oil, a photosensitive substance, and cap with a raised engraving with company name and the typical drop that distinguishes it.